For the first time in a quarter of a century, a film is featuring an all-Asian cast. That’s right, the last time an all-Asian cast graced theaters, Whitney Houston’s hit song, I Will Always Love You, was ranked number one on Billboard. 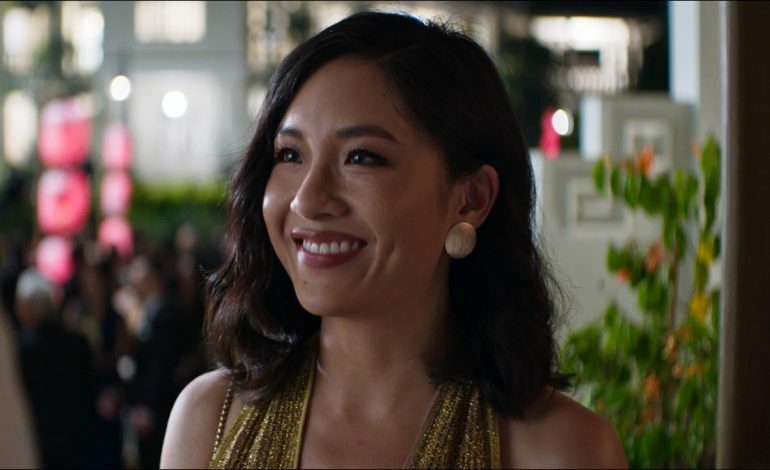 Crazy Rich Asians, follows mild-mannered Rachel, played by starring actress Constance Wu (Fresh Off The Boat, Eastsiders, and The Lego Ninjago Movie). Rachel’s life is going great, and she’s been in a relationship with her stable and wonderful boyfriend Nick, played by Henry Golding, for a year. They both think it’s strong enough for her to meet his family, but it looks like Rachel is about to deal with circumstances she couldn’t have ever foreseen. Her first surprise comes, however, not from someone new, but from Henry. It turns out he comes from a wildly rich family, and they are so well-off that they’re akin to royalty when it comes to their sterling reputation. Rachel’s journey into this new world includes: backstabbing hangers-on, secret family meetings, a disapproving mother (played by the always-excellent Michelle Yeoh), and to her eventual shock, a smattering of clandestine of support. Her wins, however, are gloriously triumphant! Crazy Rich Asians gathers its source material from author Kevin Kwan’s internationally successful novel and will be out in theaters on August 17th. Check out the trailer below! Let’s hope it is not another 25 years before we see another all Asian cast in one film.